Scientists in Switzerland have created a robotic salamander that mimics the gait of the ancient amphibian in great detail. The Pleurobot can walk, crawl and even swim underwater. The team at EPFL in Lausanne used x-ray video of a salamander to track 64 points along its skeleton as it walked and swam. They used that data to build Pleurobot using 3D-printed bones, motoriSed joints and a 'nervous system' made of electronic circuitry. The researchers hope that by replicating the salamander's movement, the robot amphibian can teach them more about the interplay between the spinal cord and the body in vertebrates, and so aid development of therapies and neuroprosthetics for paraplegic patients and amputees. SpotMini is all-electric (no hydraulics) and runs for about 90 minutes on a charge, depending on what it is doing. SpotMini is one of the quietest robots we have ever built. It has a variety of sensors, including depth cameras, a solid state gyro (IMU) and proprioception sensors in the limbs. These sensors help with navigation and mobile manipulation. SpotMini performs some tasks autonomously, but often uses a human for high-level guidance. Every year thousands of babies are born with congenital heart defects. These small vascular holes need to be repaired to allow the child to live normally. There’s currently no harmless way of doing this – so Maria Pereira created a glue that can stick the chambers of the heart back together. Pereira’s biodegradable adhesive can be activated by light. Unlike other glues, which get washed away by water, it can be placed in wet environments such as the heart, where it degrades slowly by surface erosion mechanisms. "Surgery is evolving from open surgery to minimally invasive," says Pereira. "We believe that this can be a tool to enable surgeons to change how surgery is done." 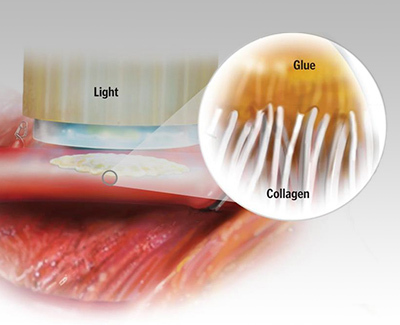 The glue is being brought to market by Gecko Biomedical. The company is currently testing it in clinical trials and hopes to introduce it in 2017. 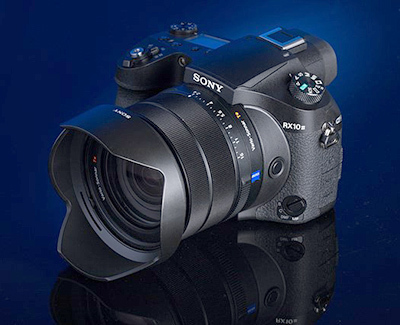 Digital Photography Review have published a in-depth review of Sony's premium super-zoom 'bridge' camera. "The superb quality of the RX10 III's lens is quite a technical achievement, to say nothing of the overall feature set Sony has included as well. Whether you're zoomed in or zoomed out, focused close or focused on infinity, you'll be impressed with the sharpness offered by this 24-600mm equivalent F2.4-4 zoom lens." "It's not perfect, that much is certain. It's not a 'caught moment' camera, or a sports shooting machine. But for outright versatility - for when I need 600mm – for when I need really good 4K in a compact package - the RX10 III makes a lot of sense." "The autofocus system is contrast-detect only, meaning you can expect some hunting, especially at the longer end of the zoom. And while it aced our bike test for a steadily approaching subject - meaning depth tracking is quite good - the reality is that the camera too often goes into a long hunt if the AF point suddenly encounters a low contrast target - meaning missed shots." "Overall, we've found the RX10 III the most well-rounded all-in-one bridge camera on the market today when it comes to size, feature set and image quality. But, while the RX10 III and its excellent lens might well be worth the price of admission for those that need it, continued ergonomic and user-interface shortcomings keep it from earning our top award." A new Chinese supercomputer has captured the number one spot of supercomputers. With a Linpack mark of 93 petaflops, the system outperforms the former TOP500 champ, Tianhe-2, by a factor of three. 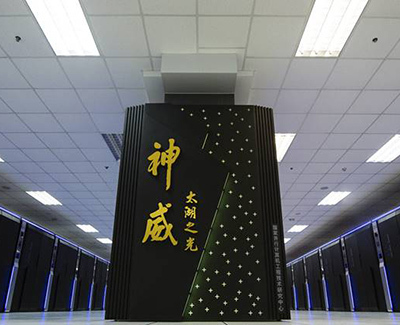 The machine is powered by a new ShenWei processor and custom interconnect, both of which were developed locally, ending any remaining speculation that China would have to rely on Western technology to compete effectively in the upper echelons of supercomputing. TaihuLight is currently up and running at the National Supercomputing Center in the city of Wuxi, a manufacturing and technology hub, a two-hour drive west of Shanghai. The system will be used for various research and engineering work, in areas such as climate, weather & earth systems modelling, life science research, advanced manufacturing, and data analytics. Every job has its more boring components. In libraries, one of those jobs is scanning the shelves, looking for missing and misplaced books, and taking stock of what's available. For human workers, this is time-consuming, repetitive and boring. 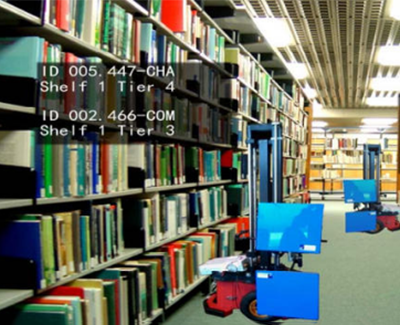 The autonomous robotic shelf-scanning platform, or AuRoSS, is in development by the Institute for Infocomm Research of Singapore's Agency for Science, Technology and Research. It uses laser mapping to navigate a library, and RFID tags placed on books to scan the collection. It can work at night, tracking the shelves in real-time to locate lost and missing books, with 99 percent scanning accuracy, even with curved shelves. Bose's new QuietComfort 35 headphones build on the outstanding active noise cancellation in its wired predecessors, while adding Bluetooth. We've been testing the freshly untethered cans to see how they compare to the best-in-class Sennheiser Momentum 2.0 Wireless. The QC35 has the same design as its predecessors. They feel very comfortable and lightweight. The headphones have a built-in battery, charging via microUSB, Bose is quoting battery life of 20 hours. Compared to the wireless Momentums, the audio of the wireless Bose QC35s holds up surprisingly well. We'd still give the edge to the Sennheisers, but not by as wide a margin as expected. Listening wirelessly to a variety of Tidal lossless tracks with flat EQ, the Momentums had a slightly wider soundstage and perhaps a hair more punch in the bass and nuance in the highs. But it's very, very close – I could listen to either pair on a transcontinental flight and my ears would be extremely happy. 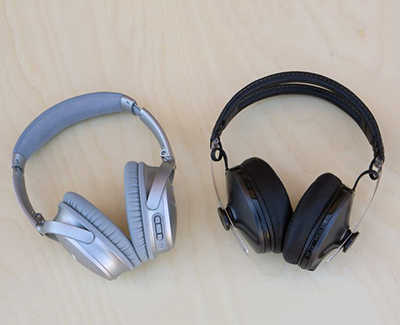 The gap in noise cancellation is wider than the gap in audio quality. I listened to both headphones with a vacuum cleaner running a few feet away, both with audio playing and no audio playing, and in both cases the vacuum noise was almost completely snuffed out by the Bose. The noise was still muffled, but much more audible, on the Sennheisers. The difference was just as pronounced swapping out the vacuum cleaner for a TV show playing in the same room. The TG-Tracker takes 8MP stills with an ultra-wide 204˚ view F2.0 lens and provides 4K/30p and 1080/60p video recording options. The unit is rated to be waterproof to 30m/100ft, shockproof from 2.1m/7ft, freeze-proof to -10C/+14F and crushproof to 100kgf/220lbf. Also provided are a 1.5" flip-out LCD and a built-in lamp with 30 and 60 lumen settings. The tracking features include GPS, barometric pressure sensor, temperature sensor, compass and an accelerometer. A pistol-style grip is bundled with the camera to help keep shots steady. 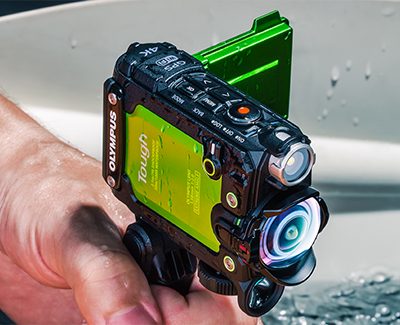 The camera syncs with Olympus' Image Track app via Wi-Fi to display data logs including the user's route and elevation, and can display detailed summaries of excursions including total elapsed time, distance travelled, average speed and minimum/maximum elevation, among other data points. Images and video can be transferred to the user's smartphone using the app. 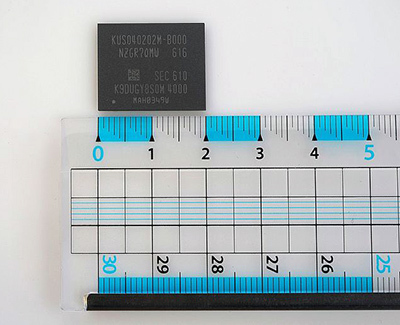 Samsung has announced it will be launching a 512GB solid-state drive measuring 20 x 16 x 1.5mm. The PM971 is installed directly on the motherboard. According to the Samsung, this drive can download a 5GB HD movie in about 6 seconds with read and write speeds of about 1.5GBps and 900MBps. Typography is a complex subject, with a lot of terminology to get your head around. 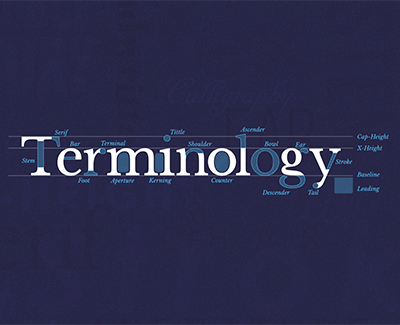 Type Terms is an animated resource to help you get to grips with the important elements of typography. Type Terms was created by Dan Heywood. "I wanted to combine typography with web design and create an animated experience that would give me the chance to experiment with SVGs and CSS animations. The aim was to create something that would describe each term visually so that even the newest of designers could understand them."